Today I am glad to join FUSION Card Challenge blog for its 5th Anniversary Celebration. My crafty friend Karren Johnson from New Zealand has invited me to join this celebration. Karren is a very talented and inspiring card maker, I love her works for many years. Please come to see her blog KarrenJ - Stamping Stuff and Instagram profile. 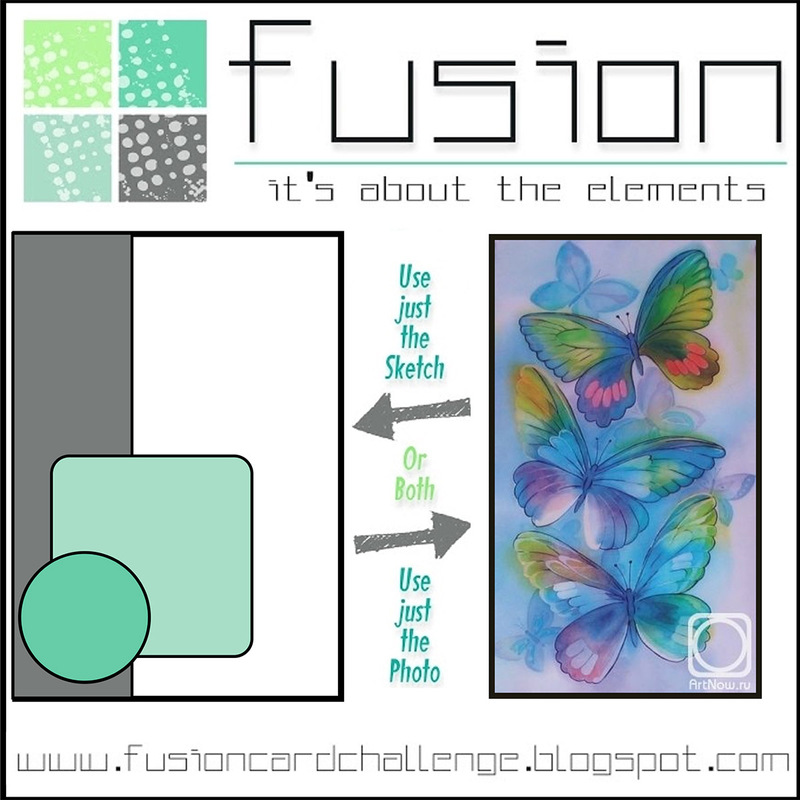 FUSION Card Challenge is always about a sketch or an inspirational photo. To play along you can use either a sketch, or a photo. And you can also create a fusion of both. To make my card I used both - the sketch and a butterfly image. I started with masking off a vertical stripe and blending three shades of Distress ink through a stencil. 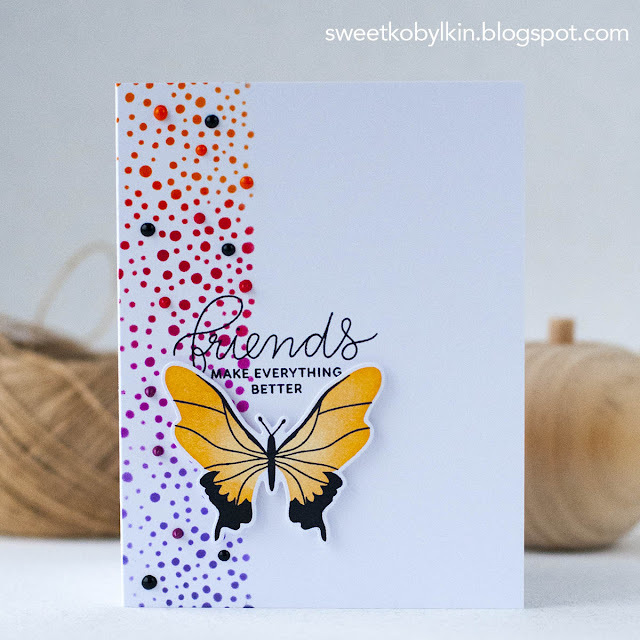 As a focal image I used a gorgeous butterfly from My Favorite Things BEAUTIFUL BUTTERFLIES Stamps ( SSS | MFT ) and co-ordinating dies ( SSS | MFT ) set. The sentiment comes from the Pretty Pink Posh ENCOURAGING GREETINGS Stamp Set ( SSS | SHP ). 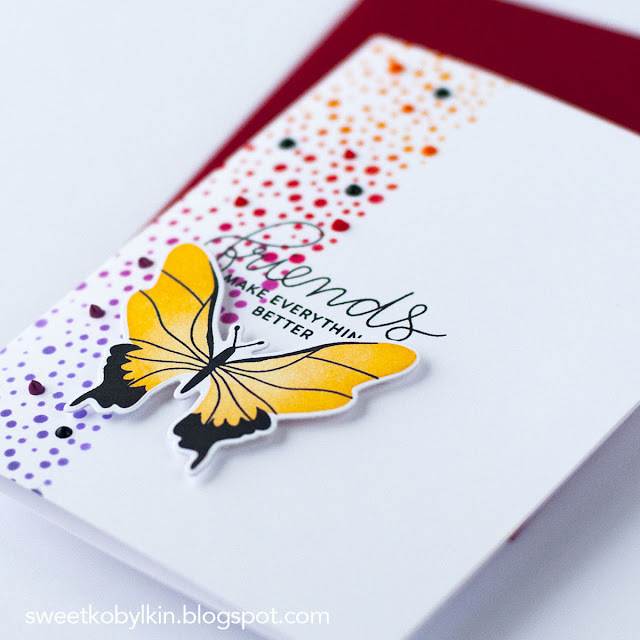 To finish off my card I popped the butterfly up with a foam tape and added enamel drops to the stencilled dots. Bright and beautiful! Love that gorgeous butterfly! I love your beautiful butterfly and the bold CAS look and feel! This is SO pretty it cheers my heart! This is gorgeous! 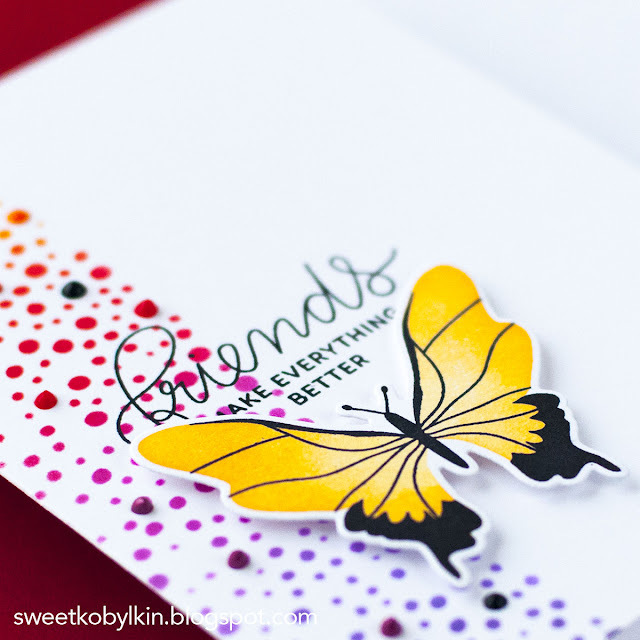 I love the dotted edge and the colorful butterfly! Thanks for the kind words and thanks so much for being my guest. Your card is amazing! 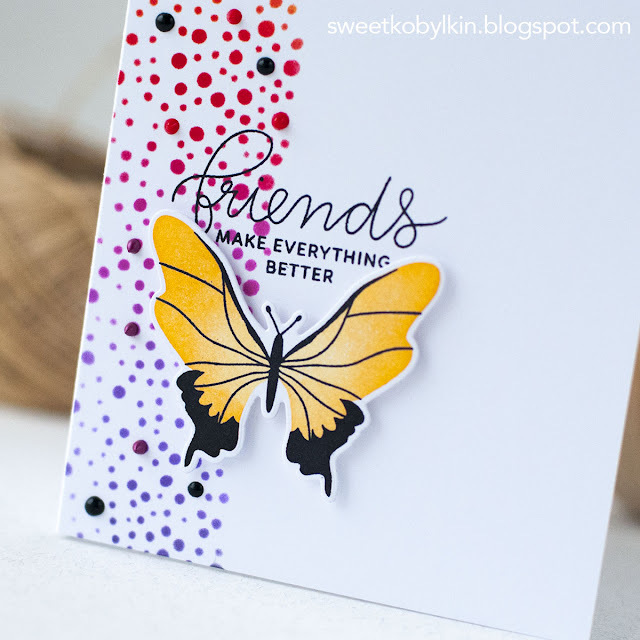 The stenciled strip in three colours looks fabulous and the butterfly and sentiment are gorgeous! Wow, that sentiment was made to fit that butterfly! Love when products play so well together!